Hibernian manager Neil Lennon has spoken this weekend about the prospect of signing Celtic midfielder Scott Allan, as reported by The Scottish Sun. Last month it was reported that Allan was one of Lennon’s top targets heading into the January transfer window but the former Hoops boss appeared to distance himself with a move for the 27-year-old with his latest comments. There’s no inevitability about us signing Scott at all. There is a lot of talk about it and he’s a player we all admire here but it’s about availability, cost and whether he wants to come. Those avenues haven’t really been pursued yet. Scott and Ryan [Gauld] are similar types of players but if I could get the two of them, I wouldn’t be complaining. At the moment, it’s still just speculation but I think Hibs is a club that’s been very good for Scott and he’s been good for Hibs too. 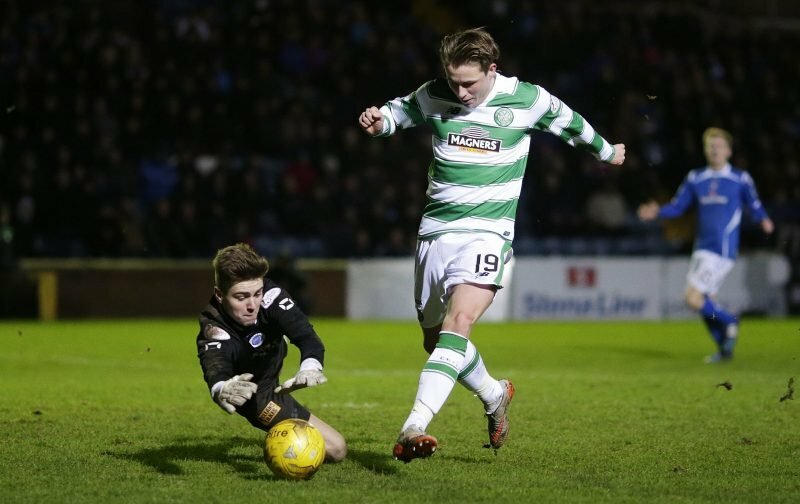 Former Dundee United ‘wonderkid’ Gauld made the switch on loan from Sporting Lisbon last week, which could mean the need for Allan is less urgent. It would be a good thing for the Celtic midfielder to move on at this stage of his Hoops career, with little to no chance of breaking into Brendan Rodgers’ plans anytime soon. All of his 17 appearances for the club came in 2015/16, last featuring in a 2-1 defeat to St Johnstone in May of that season. Hopefully a deal can be worked out for the player that suits both him and us.